Alan Levy can be reached by e-mail if you have a Panama badge for sale. Obverse Design Badge is very similar to the BG-125 type. Badge is in the shape of a shield. Perched on top of the badge is an eagle with spread wings. The eagle's head is ducked down and looking up to its right (our left). The center has a seal on a stylized shield. The seal has another shield on it, two crossed rifles and a sword and some other details (all very small). To our left of the seal is a "FF" and to our right is an "DD". These initials are for "Fuerza Defensa" or "Defence Force". There is a curved smooth banner above the seal says "POLICIA" which means "POLICE". Below the seal is a large smooth square with the badge number of "002". The entire badge except for the eagle has a raised rope edge. 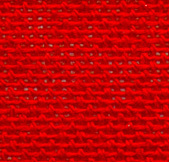 The badge has a textured background. Reverse Design Probably a pin back. To be determined. Metal Unknown. Gold or brass in color. Size and Shape About 45 mm wide by 65 mm high (1 3/4 inches by 2 1/2 inches). Dates Issued This pattern was developed before 1987. The "Fuerza Defensa" existed from 1984 until December, 1989. Issurer Defence Force of Panama (PDF). This was the name of the military/police force of Panama from 1984 to December, 1989. This force fought against the United States invasion (Operation Just Cause). Numbers Issued Pieces known include #002. According to one source only a "handful" of these were made. According to a second source, there are 24 in two sets numbered 001 through 012. Rarity Very Rare. Manufacturer Foto Grabados Fundora of Panama. Source Levy Collection. Varieties A similar counterfeit exists, but they can be told apart fairly easily. Police/Military vest badge. These badges were developed as a pattern or prototype by Foto Grabados Fundora. However, in March 1988 PDF Air Force Major Fundora participated in a coup attempt against Noriega. As a result, all business was canceled with Foto Grabados Fundora, owned by the major's father and brother. So a production run of these badges was never done. I would appreciate e-mail from anyone who can add anything to the history of these badges.